A RUP LIFE: Finding Dory: Dory's Adventure Poster-a-Page book Giveaway! Finding Dory: Dory's Adventure Poster-a-Page book Giveaway! I'm so excited to share a review and giveaway for Finding Dory: Dory's Adventure. This is a full glossy color book that has 7 tear away posters. 6 of the posters are fully colored and complete and one you get to color yourself! 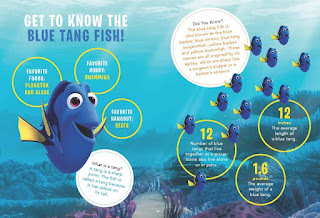 Dory is so hot right now - my kids can't wait to see this movie and having this adorable book has been a hit in our house from the moment it arrived. It is fun and interactive. I made a short video to show a few pages of the book so you can get a glimpse of it's awesomeness! 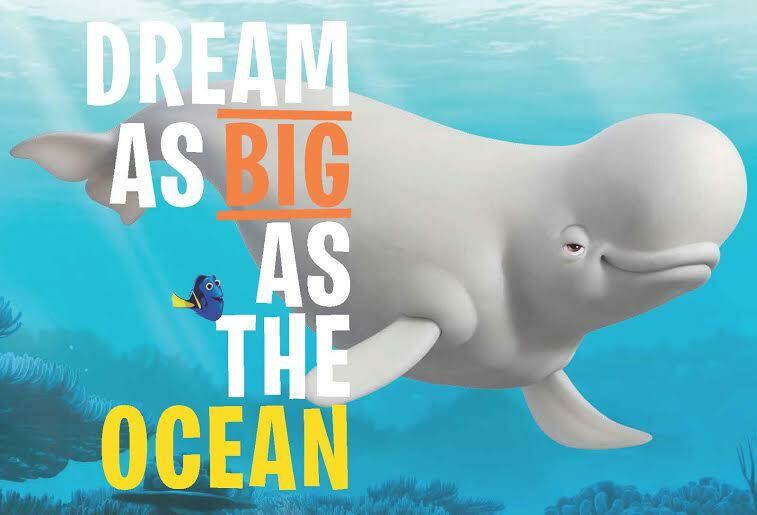 Kids can turn their room into the aquarium of their dreams with the Finding Dory Poster-A-Page book featuring beloved Disney characters, from Dory and Marlin to Bruce the Shark. Finding Nemo fans can relive the underwater adventure, learn a few new things about the meaning of family, and decorate their walls with seven supersized, pull-out posters of their favorite images from Disney-Pixar's new movie, Finding Dory! Want to win a copy? Enter below! Want to purchase? Get your copy at your local book retailer or online at stores like Amazon! 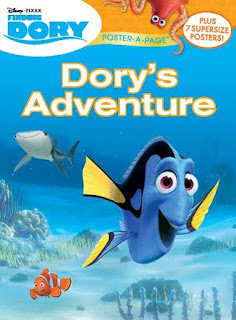 One lucky reader will win a copy of Dory's Adventure! We have not seen the new Finding Dory movie yet, been so darn busy lately. My favorite character in the Dory movies is Bruce the Shark. Yes, we went to see Finding Dory and I loved it! Such a cute movie! My favorite Finding Dory Character is Dory. I've always liked her character a lot! We saw it last week. It was quite good. I have to say, I had my doubts, but everyone liked it. Especially the truck scene. We saw Finding Dory in theaters last week!! It was my youngest's first theater experience and she was great! Both of my girls LOVED it! My favorite character was Dory of course! My kids thought Becky and Gerald were hilarious and they loved Hank! I haven't seen Finding Dory yet! I heard Diane Keaton is doing the voice for one of the Finding Dory, so she's definitely my favorite. Yes, we seen finding Dory a few days after it came out. It was so cute. Our favorite character is Dory!!! I have not seen Finding Dory yet but I would love to, soon!